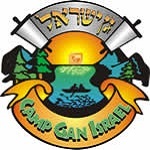 Welcome to Gan Israel Day Camps! We are pleased to announce that plans for Summer 2019 are under way. As in the past, we are working diligently to continue to enhance our program with exciting new activities, with careful emphasis on sports, child development, and swimming. 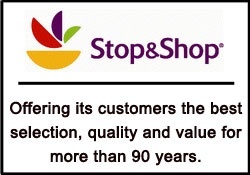 We will once again be serving delicious hot lunch and 2 snacks daily, to ease the burden on you. 1. Summer enrollment application - click here to download a form or click here to register online. 2. An $85.00 application fee per family plus a $150 deposit per child (towards the camp fees). 3 easy ways to complete the registration process! Online Complete your registration for each child online, including payments on our secure server. Fax After downloading, printing & completing the camp application form, fax your application & credit card payment to 866-539-4748. When your registration is received, we will send you a medical health history form which shall be submitted before camp begins. Other payment arrangements may be accepted with prior approval only. Registration will close on May 31 due to limited capacity and increased response. We will accommodate on a first come, first served basis. DO NOT BE LEFT OUT! PLEASE RESPOND TODAY! We eagerly look forward to having your child(ren) spend their summer with our happy Gan Israel family. Please feel free to call me at 516-833-3057 for any additional information. I can also be reached via e-mail at chanie@campgi.com. If you would like a registration package mailed to you, please contact us with your request.